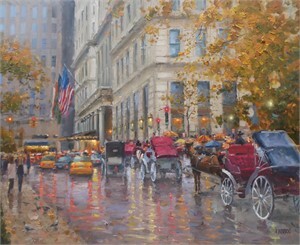 Internationally collected artist E. J. Paprocki was born in Chicago, IL in 1971. 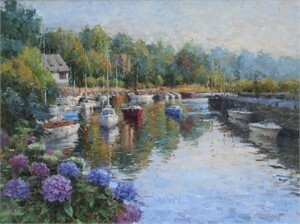 An avid painter since childhood, he studied Business and Fine Art at Loyola University in Chicago. 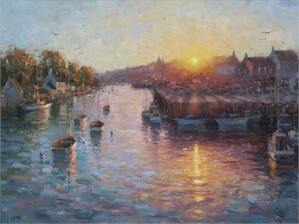 After receiving his bachelor’s degree, Paprocki augmented his formal art studies with extensive travels in Europe, painting and visiting the great museums. Exhibited widely, he has been featured in 18 one-man exhibitions and many prestigious group shows on two continents. His work has received critical acclaim and has been featured in several national magazines including Art of the West, Southwest Art, Gulfshore Life, and International Artist. 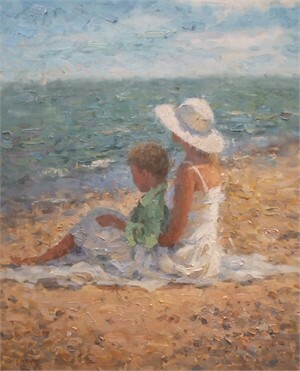 Paprocki’s works have graced the walls of The White House, the U.S. Embassies in Kuwait and Uruguay and many large corporations. In 2013, The University of Notre Dame commissioned the artist to create four monumental murals for their permanent collection. His paintings hang in more than 1000 public, private and corporate collections in over a dozen countries around the world.